Over the last few years I've collected up most of my peonies and planted them together in one place - in the Birthday Rose Garden. What a great idea - and what a beautiful flowering display they've put on this spring. Sarah Bernhardt (who I brought home from the supermarket) is the last peony to flower, and the only other whose name I've recorded. 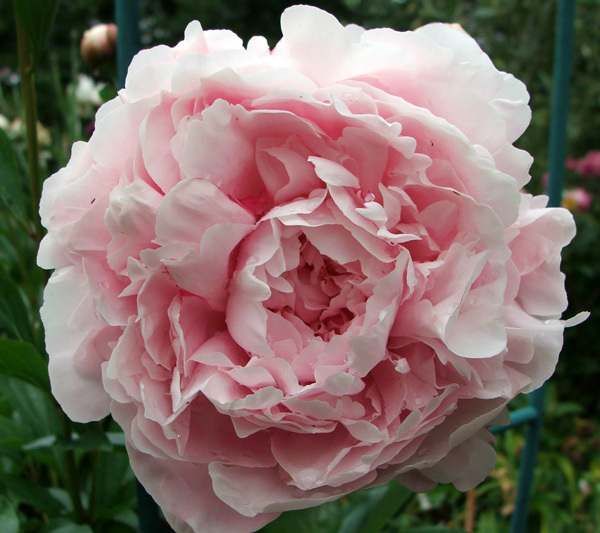 I've looked at all the clumps of mid to pale pink peonies, in a Google search - is my peony Sarah? 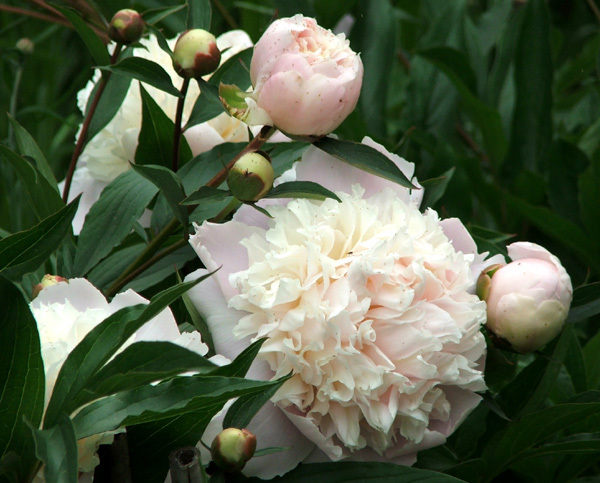 Pale pinkness and extreme fluffiness seem to be the common look, though - and she blooms late in the season. So I think I've got her labelled correctly! Blast. I've gone through my journal checking for other peony details. Several of my darker pinks and cherry coloured ones came from friends (some of whom I've sadly lost total touch with). And I'm sure the white one is very common, but I'm not keen to guess its name - I bought it from a market stall. And I remember buying the very first deep magenta flowers from a neighbour grower - but there's no record of the name, and that was way back in the Moosey Garden history - at least ten years ago! 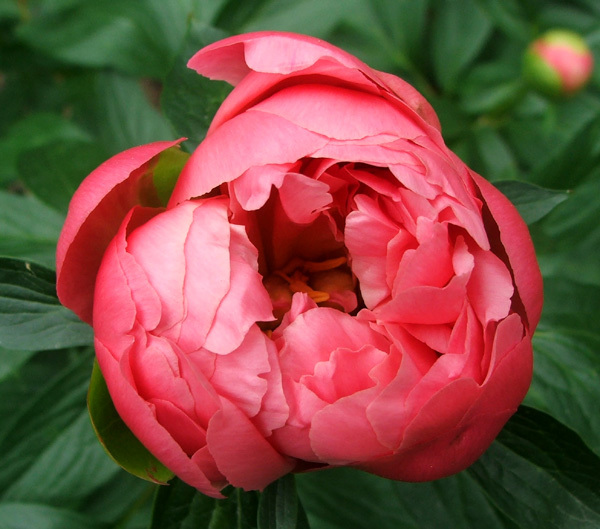 Still - peonies don't need names to be totally enjoyed and marvelled at. They're beautiful, generous plants, and I'm lucky that my climate is so suitable. Next time there's a frosty winter morning I'll give thanks! 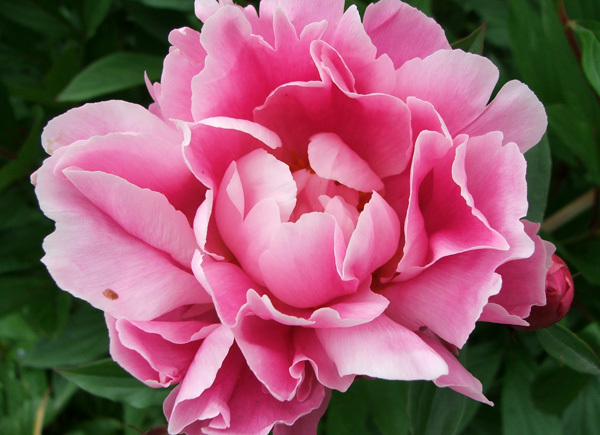 Back in the day I'd never grown peonies, and had only seen pictures of them in glossy garden magazines. Then one of my old friends went to England. She dug up her garden before she left and gave me two carloads of plants. This peony rose was included, my very first introduction to the plant. People warned me they were really, really fussy about being shifted. I should hold my breath. 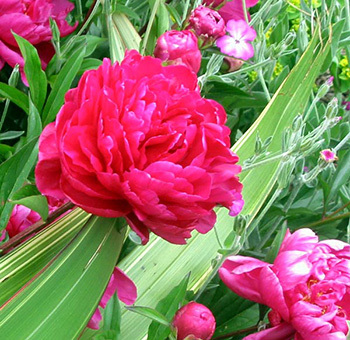 This peony might never, ever bother to flower. Ha! They were wrong. I planted it in the Stables Garden, where it lived and flowered happily (until the next-door Phormium became too big). Now it's been moved into the Allotment Garden - back in the sunshine. Another shift, but I have faith!